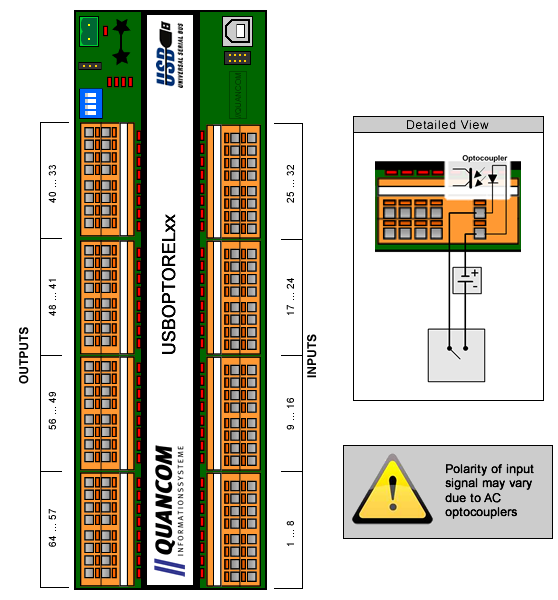 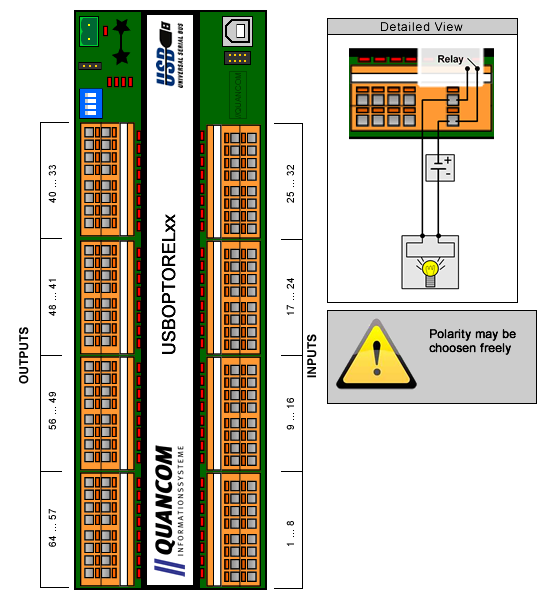 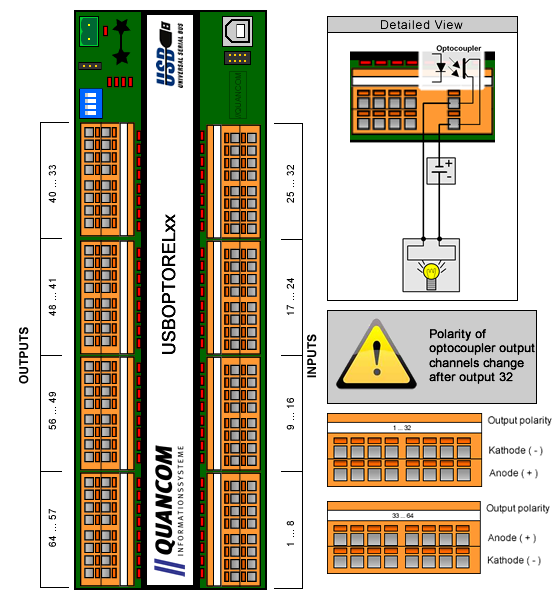 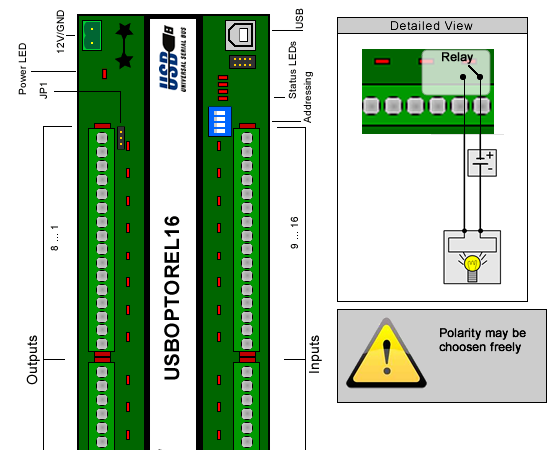 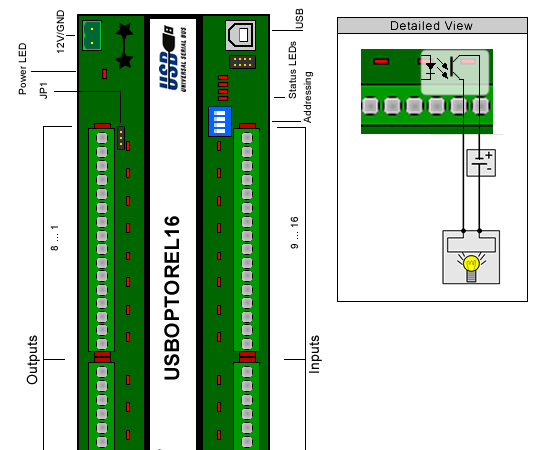 These drawings show the USB modules but are also meant for ETH and SER versions. 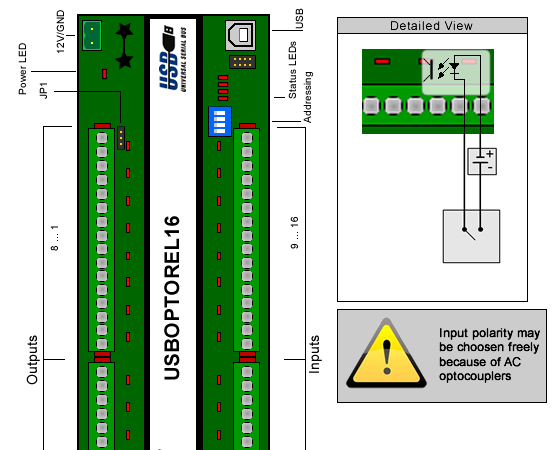 How to connect a button and a 12V external power supply to an optocoupler input. How to connect an external signal generator to a relay.